... so I take back my previous moan at only getting badger's bottoms. 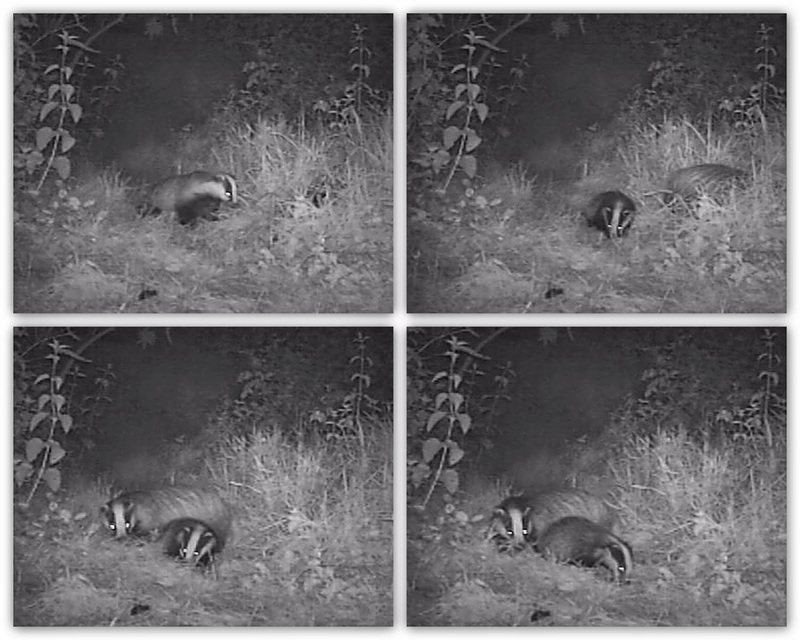 Edit 15/04/14: As spotted by SteveDee it looks like our badger cub is playing with, then eating a slow worm. The cub plays with it a lot like my dog would play with a feather - pokes it with his nose for a bit, then pounces on it, then eats it. Is that a snake that the cub is carrying/eating?